Fashionistas have begun to eagerly fill in this void. 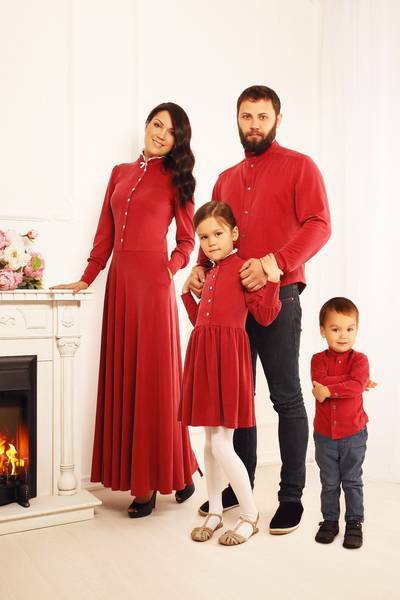 Orthodox dress lines are popping up all over Russia, such as Ksenyushka , Slavyanka , Miryanka , Dikona  and Piety . The best-known store, Baryshnya-Krestyanka (Noble Lady-Peasant Girl or the best of both worlds), started off in a small dank room on the third floor above a gentleman’s club. Today, though, it has moved to Nikolskaya Ulitsa, a historical street that leads tourists straight to the Red Square in the heart of Moscow.